For Sunday morning brunch I prepared an overnight french toast. On Saturday I baked a loaf of honey oat bread in my bread machine. 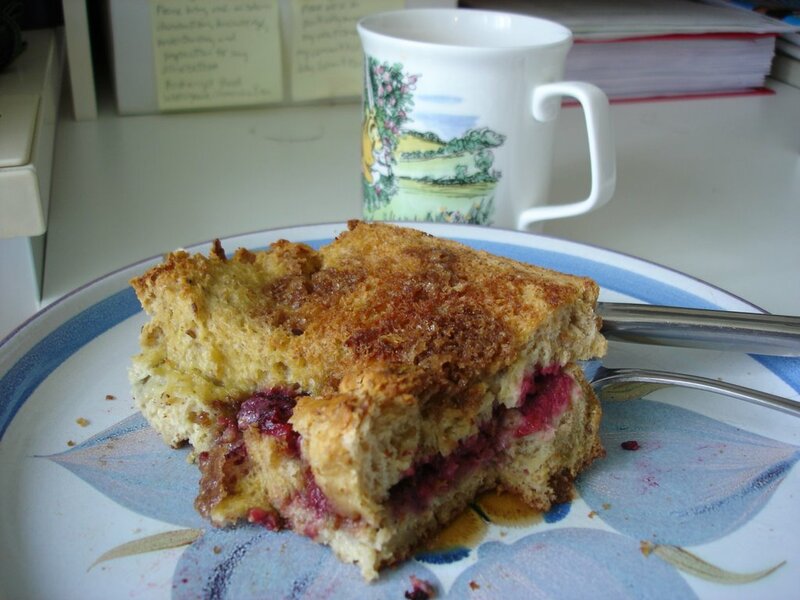 Saturday evening I constructed the layered french toast with raspberries in the middle. On Sunday morning I popped it in the oven for forty-five minutes. I forgot that I was supposed to sub a yoga class this morning until I took the french toast out of the oven and realized that I had to be teaching Susan's yoga class for her in less than 15 minutes! I didn't get to eat the french toast until much later - and cold- but I still thought it was delicious! I think I will make it for Mother's day for my Mother.